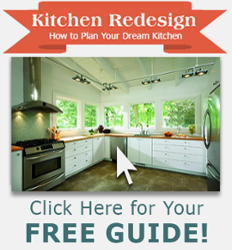 Let's find the perfect kitchen design or bathroom design for your home. When it comes to kitchen or bathroom remodeling, our team of designers will work with you to bring your one-of-a-kind vision to life. From planning and layout to the selection of materials and finishes, our experts will guide you, step-by-step, towards your perfect remodel. We offer countless product options for your complete remodel or partial upgrade. From sinks, faucets, and lighting, to countertops and flooring, the GNH Showroom has your kitchen remodeling and bath remodeling needs covered. And our friendly, knowledgeable staff will help you at every step along the way. Conveniently located in Albany, NY. Do you have a plan in mind already? Great! Our kitchen and bath remodeling team will help you finalize the plan. Not sure what you're looking for yet? No problem! Our designers will help you hammer out a plan that matches your tastes, home style, needs and budget. And when you're ready to bring your vision to life, we take care of the process, as well. Not sure it's in the budget? Ask us about financing options: 518-313-1229.